I will keep this section short and assume you know how static routing works. Assume all IPs have been configured, everything except for static routing. Assume R1 is .1 for subnets. Assume R2 is .2 for subnets. 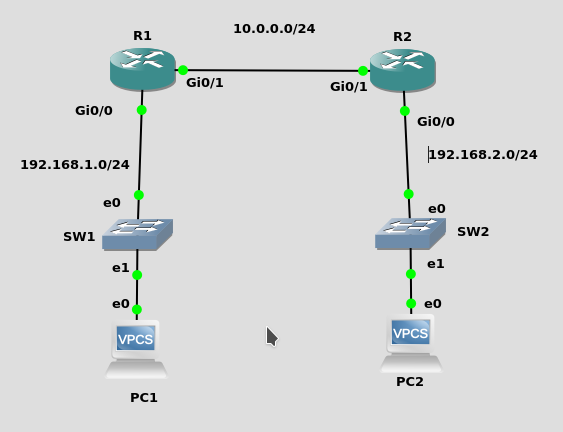 Configure static routing such that PC1 and PC2 can have bidirectional communication. What verification command will allow us to view the static routes that are installed on a router?